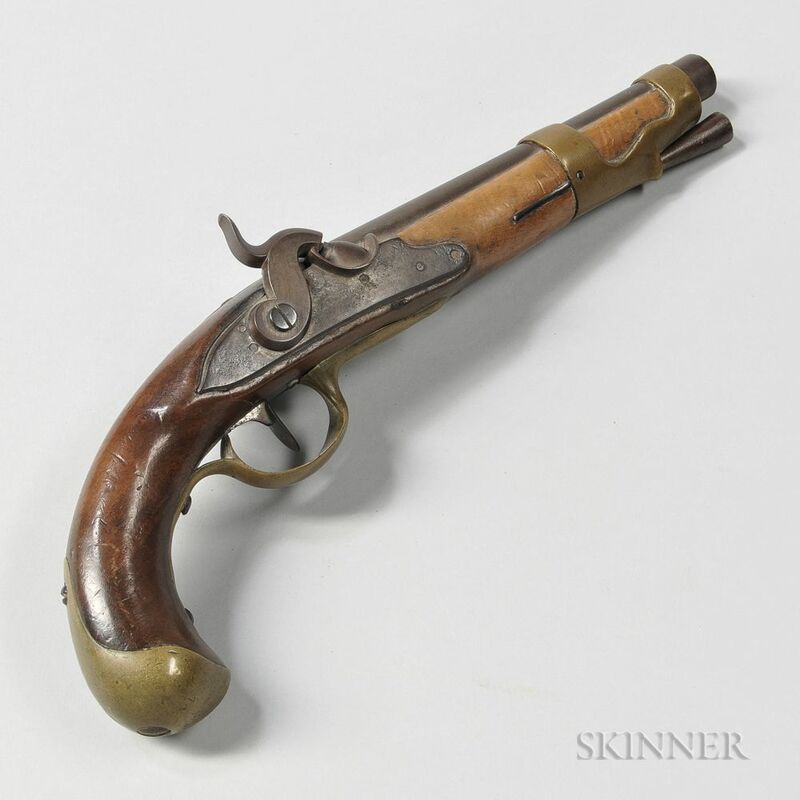 French Model 1763 Conversion Pistol, c. early 19th century, walnut stock, brass fittings, lock converted to percussion, rack numbers on the top of the barrel, barrel lg. 8 1/2, overall lg. 15 in. Stock has a few dings and nicks, brass and iron have some patination, and the lock functions properly.